Anyone involved in mining knows that worker safety is of paramount importance. By allowing surveyors to collect accurate spatial data from above, drone or UAV technology can vastly reduce risk by minimising the time these staff spend on site. Drone-based data collection can also boost productivity; surveying projects that once took days or weeks using traditional surveying techniques are now possible in just a few hours. Plus, thanks to a drone’s ability to collect data from above, there is no downtime required while surveyors move around a pit, as can be the case when using terrestrial surveying instruments. With fewer man hours required to produce large, accurate data sets, and no need for externally-sourced imagery, the result is vastly reduced costs. In fact, many operators report that a single imaging drone – comparable in price to a mid-range GPS rover – can pay for itself in just a few months. Topographic base maps for large scale projects of many 1000's ha size is now possible to + / - 25cm in days not months or years………. Topographic surveys for large scale projects such as plantation, mining exploration, oil & gas concessions, route studies, geothermal power projects, power lines, pipelines, roads and more can now be made available within days or few weeks at project start up. 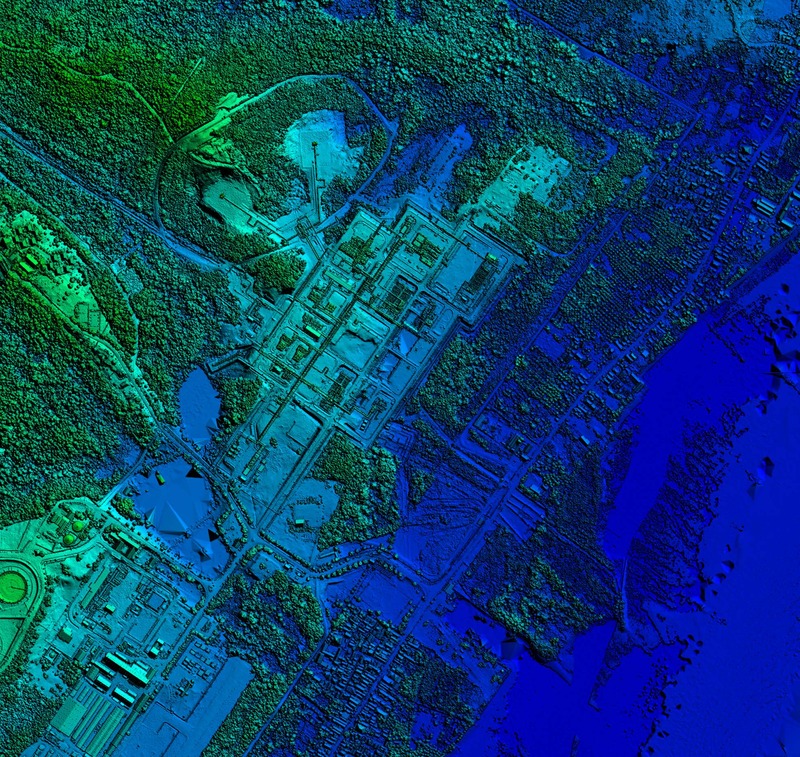 LIDAR is an airborne laser scanning technique which when flown together with DGPS can provide data to generate terrain models to +/- 250 mm accuracy. 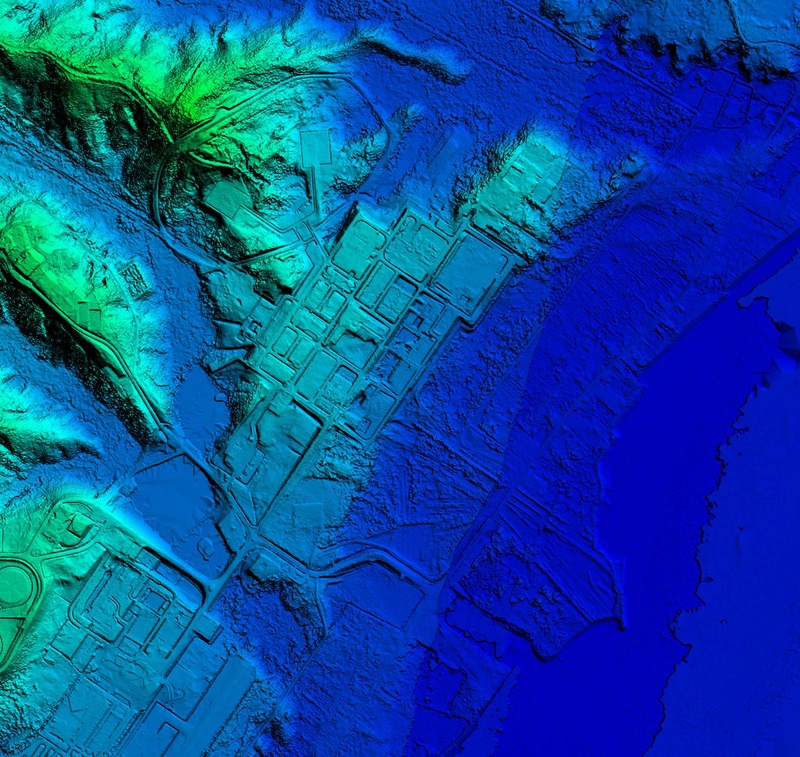 LIDAR can be flown, processed & contoured maps made available to client literally within days or few weeks instead of months or years by conventional means such as air photography or ground surveys. Often at project start up accuracies better than +/- 25 cm are not required and LIDAR can provide rapid mapping with an accuracy resolution that is more than “fit for purpose” at an early stage of any project start-up. Clients can now have terrain models and contoured topographic mapping for large scale projects which can be combined with high resolution satellite imagery or air photography to produce base mapping in the form of combined topographic and other thematic maps (geology, surface water, vegetation, soils, etc.) at scales that are useable for planning, feasibility, preliminary and even detailed design. These can be combined with published maps from “desk top studies” to provide project start up base maps that in the past were unavailable or took many months or years to produce. 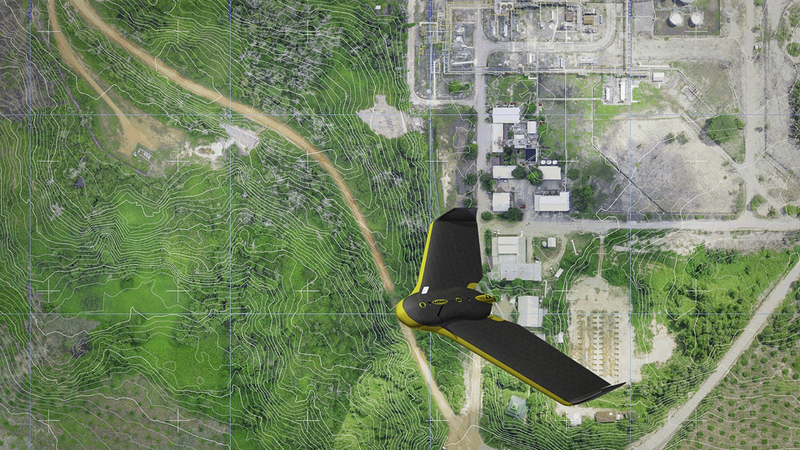 For better results combine LIDAR with satellite mapping or air photography taken at same time. 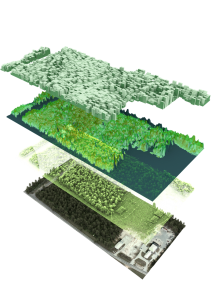 Geoindo provide airborne LIDAR, satellite imagery & air photography services through their strategic association partner INFOTERRA – a European Space Agency company. One of the most experienced operators and processors of LIDAR in the world. Two Optech airborne laserscanners (lidar), ALTM-1020 & ALTM-2033 model, are available. Both of these instruments are capable of recording a very dense grid of height points on the ground surface beneath the aircraft at a rate of 5,000 and 33,000 individual height points per second respectively, allowing millions of height measurements to be captured in only a few hours of flying. The ALTM-2033 can acquire a grid of height points, spaced at approximately 1 metre on the ground with a vertical height accuracy of better than +/- 25 cm. At the same time the ALTM-2033 also acquires a panchromatic image, which aids interpretation of the height information and image classification. 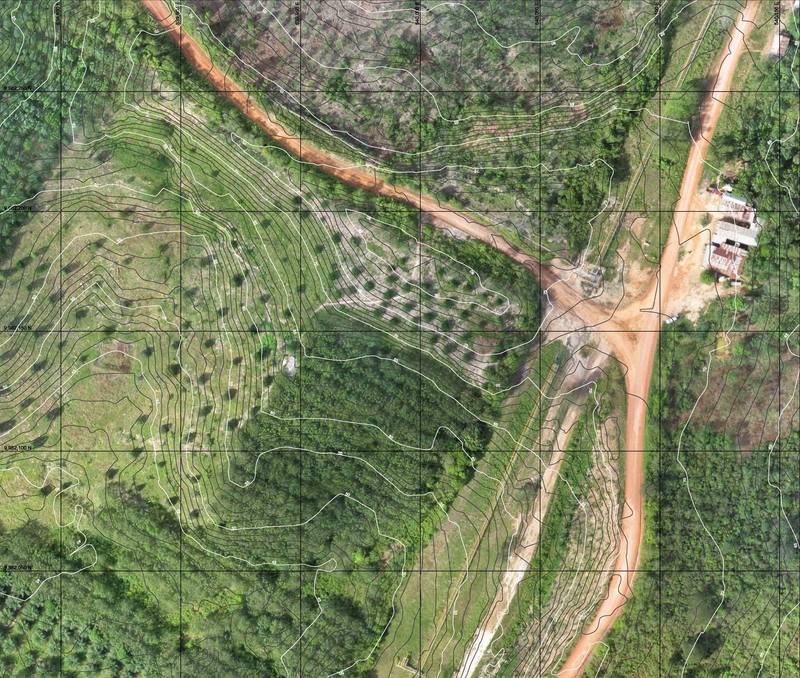 The ALTM-2033 instrument is also capable of acquiring both first pulse and last pulse returns, which makes the instrument suitable for acquiring a Digital Terrain Model (DMT) and Digital Elevation Model (DEM), even through dense vegetation cover. Both instruments have been used for a wide range of projects including seismic planning, facilities planning and route corridor analysis for pipeline routing. 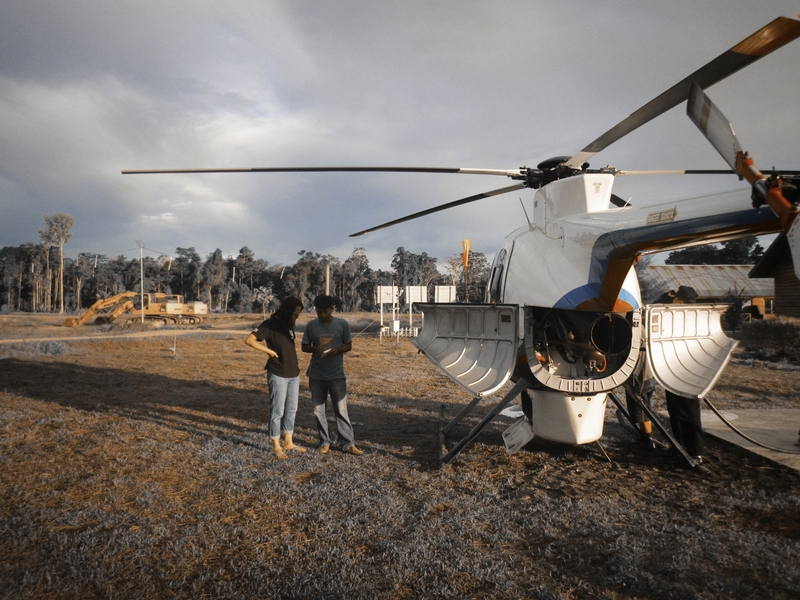 To date we have undertaken surveys in ten countries in terrains ranging from desert to tropical rainforest. Operations flown worldwide and in the UK .